Construction & Renovation Sarnia & London | William Standen Co. When a redesign project moves from the planning stages to the renovation process, anticipation sets in. We want you to indulge in these feelings of excitement and free you from any installation anxiety – that’s why we’ve revolutionized the standard renovation process. From design to completion, you’ll deal with just one company, making the overall renovation experience a lot less stressful and much more fun. Your William Standen Co.™ project manager will be your renovation guru and our entire team is with you every step of the way. We start off by scheduling all aspects of the project and relieve you of the stress of coordinating tradespeople and managing construction timelines. You won’t have to worry about managing or seeking out reputable trades for your kitchen redesign or bathroom remodel – our trusted team of construction professionals and tradespeople will expertly install and finish every detail. William Standen Co.™ prides itself on our construction and building methods. From waterproofing systems, framing, drywall work and ventilation, we ensure that our projects meet our own high standards of excellence. Why? Because we genuinely care that it’s completed professionally, with a high attention to detail and quality. There are many facets involved in planning a home renovation, whether it is an addition, a kitchen, bathroom or to transform your entire home. A renovation begins with the meticulous design details, to the execution of that plan including re-locating load points, removal of walls, re-locating plumbing and electrical, framing new walls and the delivery and installation cabinetry, furniture, artwork and all of the home goods that make up each room. William Standen Co. handles the strategic planning, scheduling, and execution of all construction staff and trades so that you only ever have to deal with one company, from design to completion of your renovation. Experience the William Standen way with our in-house labourers, rough carpenters, finish carpenters, flooring and tile installers. All details are handled in-house, making communications a breeze. Designing your dream home, whether you’re transforming an existing structure into your perfect retirement home, or building new, requires an enormous amount of attention to detail. Details that need to be worked out long before construction begins to ensure that your dream space fully functions not only for your needs, but meets building codes and regulations. Working with William Standen Co. means that the detailed planning of your whole home remodel is enjoyable, less worrisome and that the little things that make the difference are accounted for. William Standen Co.™ prides itself on our construction and building methods. We use only the industry’s best construction materials and products as well as building methods. From waterproofing systems, framing, drywall work and ventilation, we ensure that our projects meet our own high standards of excellence. Our in-house construction and production team work hand-in-hand with our design team to deliver you a flawless dream living environment. Our project manager will be your renovation guru and our team is with you every step of the way. From design to completion you will have the ease of dealing with one company for every piece of your project, making the process and the overall experience less stressful and more fun. Our highly skilled renovation and construction staff are able to deliver unique renovations and additions while allowing you to relax and enjoy watching your new dream home come together. In your home renovations, our team will handle the relocation of plumbing and electrical fixtures, following our well-designed plans with expert execution to deliver you a one-of-a-kind renovated space that works for your unique needs. Redesigning your home may require removing walls to optimize the functionality and flow of your floor plan. Our in-house renovation masters will remove your walls, install necessary support beams and footings, take care of framing new walls and all other construction details. Our in-house construction team works directly with our designers to create masterfully built finish carpentry work including fireplace surrounds, staircases, railings, ceiling details and much more. Our detail-oriented team has the finish carpentry skills and expertise to deliver award-winning, beautiful spaces. Whether you're building a new home or renovating an existing one, planning for new windows and doors requires a lot of skill on both the design and the construction sides. The William Standen Co. team will help to meticulously plan the appropriate locations of your windows and doors, optimizing their functionality, and we will also execute the installation. 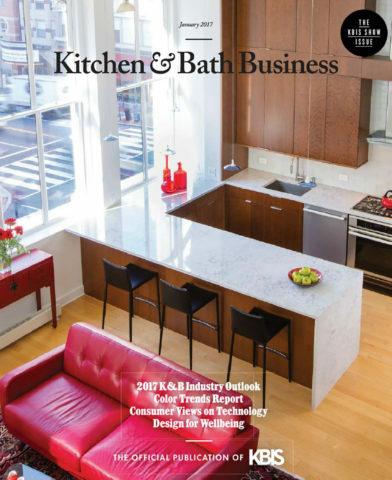 When you work with William Standen Co.™ on your kitchen, bath or whole home renovation project, you get to take advantage of an award-winning team. William Standen employs some of the best in-house tile and hardwood installers in Southwestern Ontario. Working exclusively without our design team, their exquisite eye for detail and foundational knowledge allow for breathtaking installations. We are here to guide you through the renovation process and keep it simple, exciting and worry-free. Before your kitchen redesign, whole home transformation or bathroom remodel begins, our team will provide you with the William Standen Co. guide on what to expect before, during and after your renovation. Our expert team is available to answer any questions or concerns. Whether it be a question about the work happening in your home or the timelines and status updates, give us a call, email or speak to a team member in your home. We vow to be accessible and honest throughout the process. Your completed renovation will not be handed back to you until it is flawless, and if you have any questions or needs, we are here to assist you. William Standen Co. is a leader in green design. For every renovation, we source eco-friendly products that are safe for you and your family. We source hardwood components from responsibly managed forests and our finishes, particleboard and plywood are free of added formaldehyde and other air pollutants, resulting in better indoor air quality in your home. How do you determine renovation budgets? I'm moving from out of town and want to renovate, what do I need to get started? Book a complimentary meet-and-greet consultation. If you are unable to join us in one of our design studio locations, we will arrange for this consultation via phone or online video meeting.